Intro to Burlesquercise (Optional Performance Opportunity for 10th Anniversary Gala)..."ROXY"
Join us for our most popular course! These courses are SPECIAL as participants have the option to perform as a group at our 10th annual Student Gala on June 8th! This 8 week teaser course will introduce you to the delicious world of burlesque! 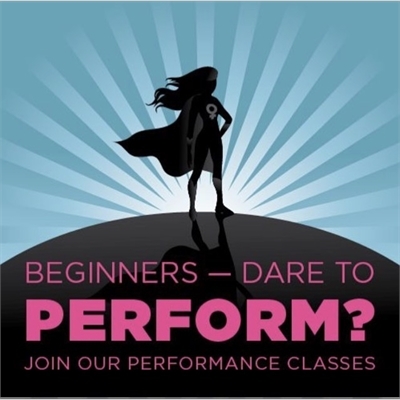 Develop your core strength with principles used from jazz, ballet, latin and pilates and gain body awareness and confidence through some fundamental dance exercises and drills. Learn the basic walks, struts, kicks and turns as well as the all important "boa basics" to get you well on your way to being a Diva! This course will include a brand new show choreographed by Miss di herself that guarantees to leave you both gigglin' and feeling HOT HOT HOT!! Miss di is fantastic at helping you find your inner Diva and confidence. Women of all ages, shapes and sizes welcome. Heels are recommended for a portion of the class. Last year we SOLD OUT! Partipants do not need to decide if they want to perform until week #6. Performer ticket NOT included. Performer tickets for Level 1 participants are $99 which also includes a $70 gift certificate for future classes. Gala information and tickets to be released SOON! Costumes will include variations of dresses, shorts, bustiers, fishnets, gloves etc, designed to make each dancer feel comfortable. Items come right out of your closet, unless you want to shop! This course also includes a FREE dress rehearsal the week of June 3rd. Rehearsal schedule TBA. *Please note there are NO classes May 19th.